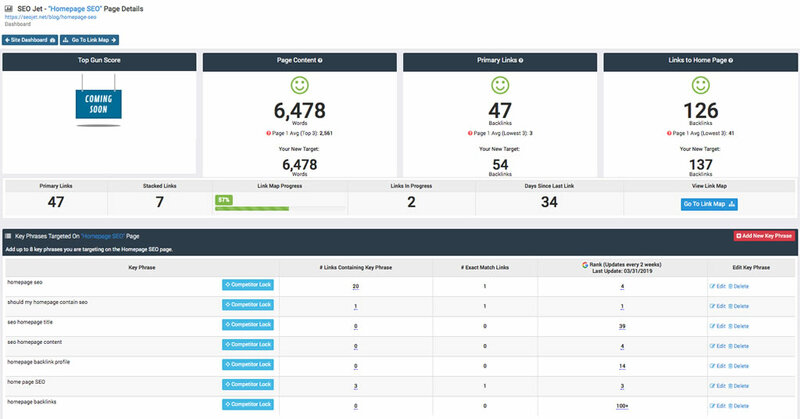 SEOJet instantly builds customized backlink plans (that actually work) for your SEO clients. Using data from top 10 ranked pages, SEOJet analyzes your backlink profile and builds out a customized plan to help you match other top ranked competitors. The software helps you know how many links you need pointing to each page and helps you choose your anchor text so you can maintain a natural backlink profile.